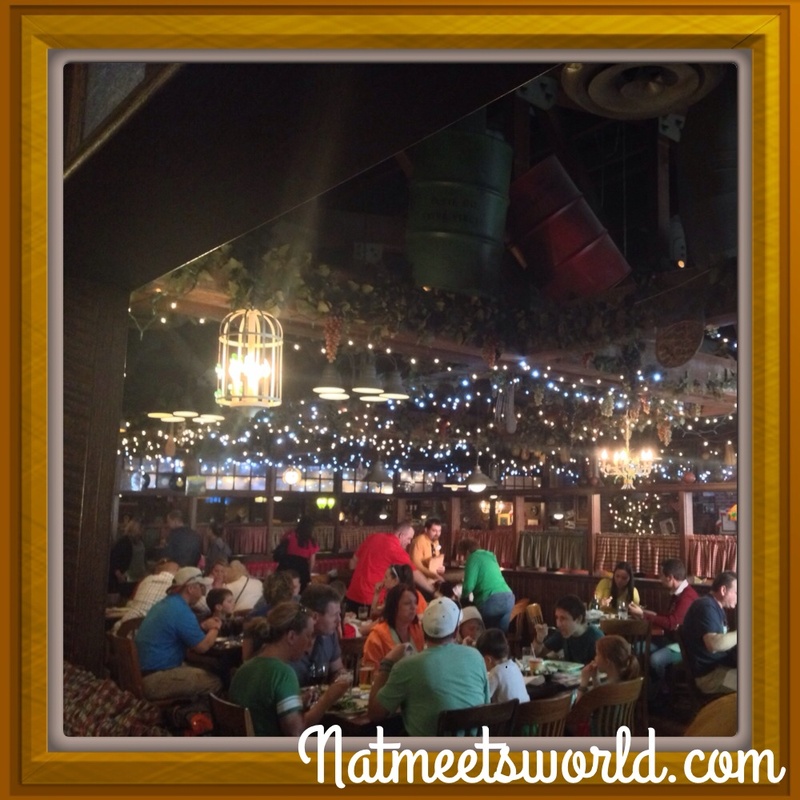 I am always up for a great sit down restaurant after walking around the Disney parks for hours. It gives me time to relax for a little bit before I get right back up to continue the fun. 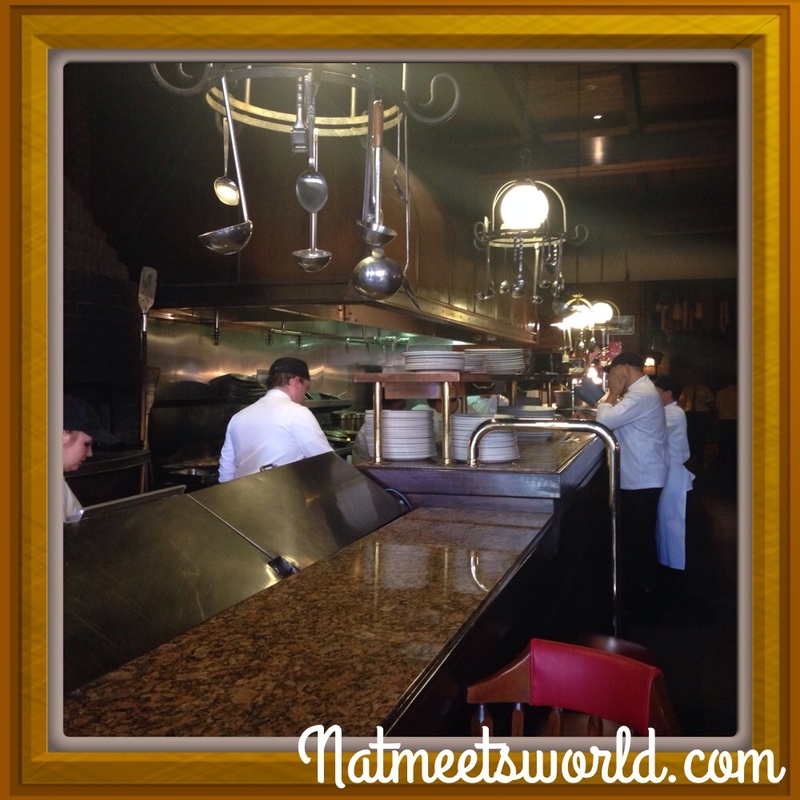 While in Hollywood Studios, I had the opportunity to dine at a great Italian restaurant located towards the back of Hollywood Studios called Mama Melrose’s Ristorante Italiano. 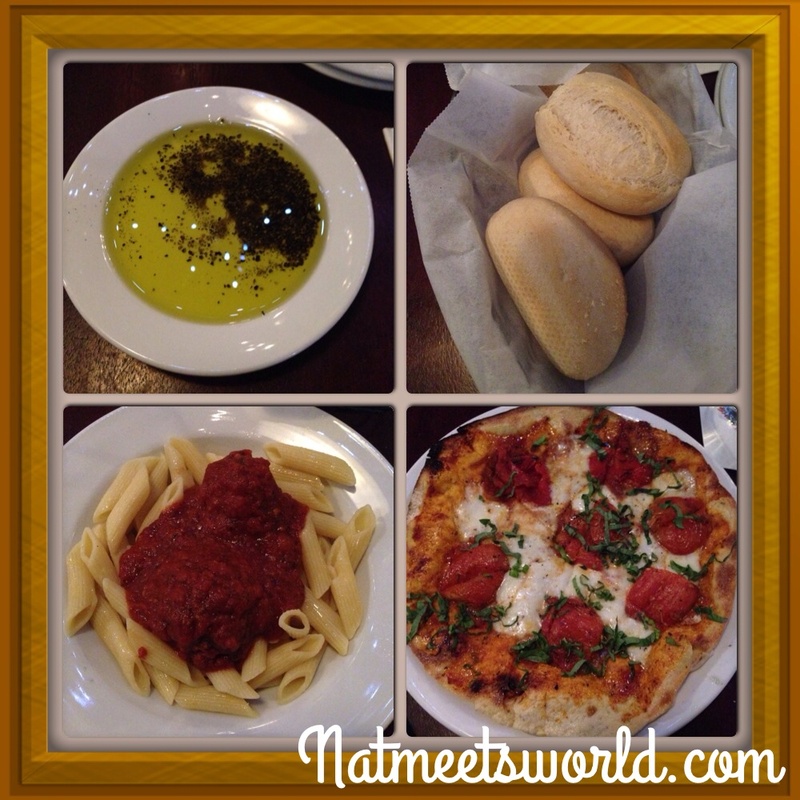 It had great food, service, and was perfect for what I was craving, pasta! 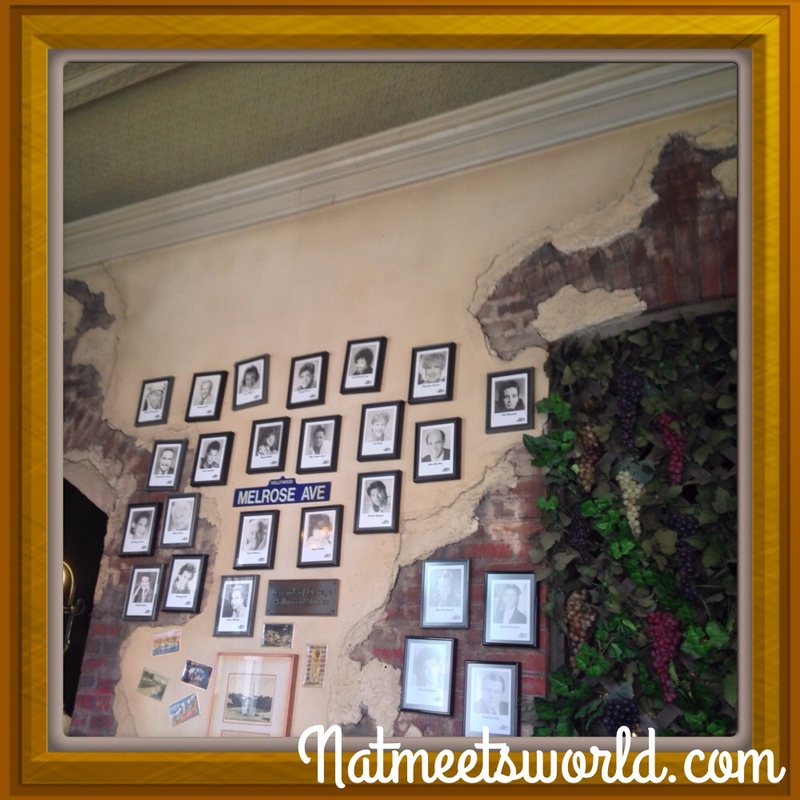 When we first walked into Mama Melrose’s, I really liked how the reservation area was decorated with an Italian flare. I also like that there were several photographs of Italian celebrities all over the waiting area (pictured below). When being seated, I noticed that the dining room has a warm, cozy feeling with many small twinkling lights and a plethora of items such as old records, flowers, pictures, etc. on the wall. 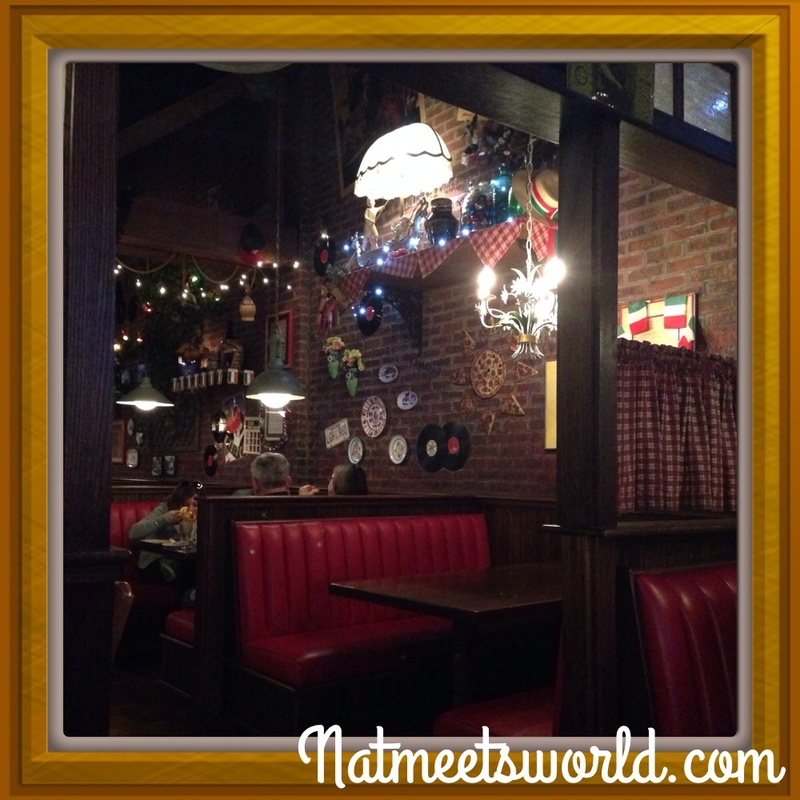 There are several tables and large red booths that also give it a warm feel. This is the kitchen area which is visible from the waiting and dining area. Mama Melrose’s offers various Italian appetizers, entrees, and dessert. There is also an extensive alcoholic beverage list. Check it out here from the Disney Parks Website. The bread rolls and olive oil mixture (Picture: Top left and right) given to us upon being seated was absolutely delicious. I could have eaten that for dinner alone, that’s how great it was. The rolls were piping hot and the olive oil contained several kinds of seasonings that made it an amazing ‘dipping sauce’ for the rolls. For our appetizer, we chose the margherita flatbread (which was divine) and for dinner I chose to make my own pasta with house made marinara sauce, spaghetti noodles, and meatballs. As you can see from the picture above, my pasta was given to me with penne pasta instead of the long spaghetti noodles. When our server noticed this, she immediately brought me another pasta dish and whisked the other one away. I wasn’t going to say anything because I didn’t want to make a big deal about it, but my server insisted on making my meal exactly what I asked for. 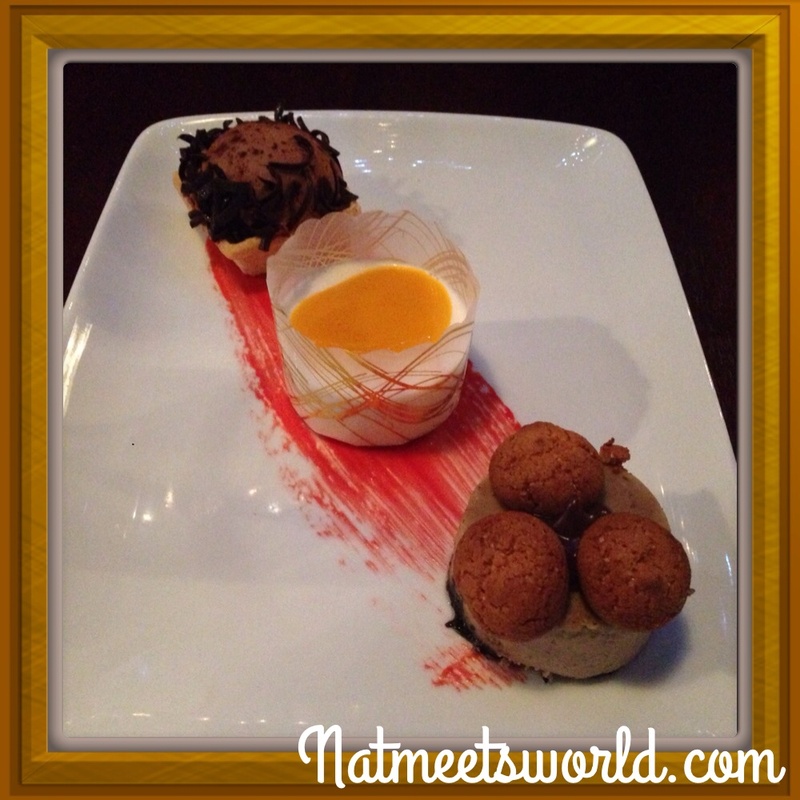 She was also very gracious enough to give us a dessert sampler on the house! Our dessert platter consisted of a chocolate cake, vanilla bean compote with mango glaze, and mousse cake. Overall, I really felt like a special guest at Mama Melrose’s. Our server went out of her way to accommodate us, and the food was delicious. I will definitely visit again soon. Deal Alert: Mama Melrose’s is rated as $$(15-29.00) per adult according to the Disney website. Disney dining plan and Tables in Wonderland are accepted here. Annual pass holders do not receive a discount at this location. Have you been to Mama Melrose’s? What did you think? Comment below!